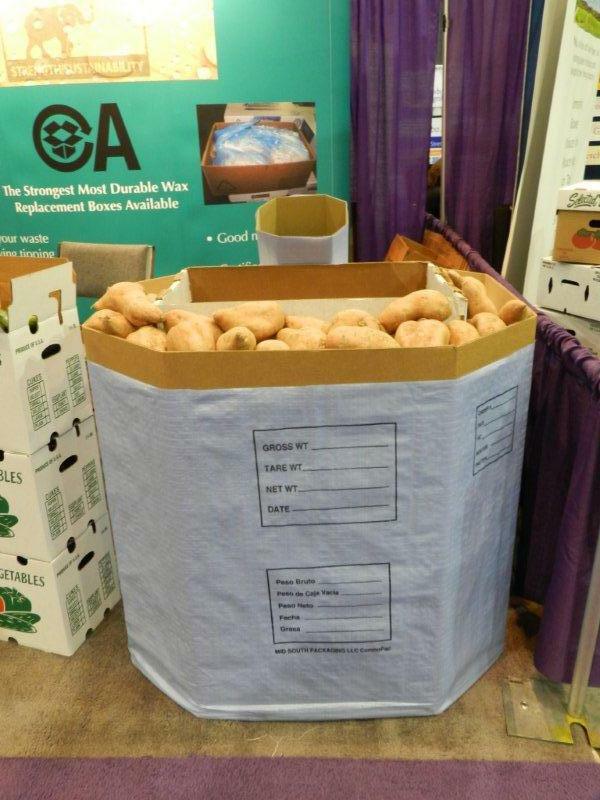 Eco-friendly wax-alternative fresh produce packaging manufacturer exhibits at Southeast (SE) Regional Fruit & Vegetable Conference 2012. 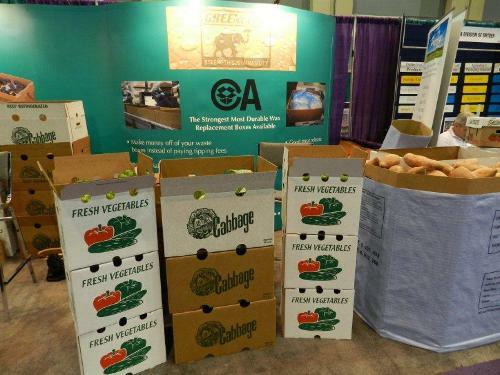 Interstate Container displayed compostable, FBA-certified 100% recyclable and repulpable GREENCOAT® wax-free boxes at Booth # 226 – 228 during SE Regional Fruit & Vegetable Conference 2012. The annual conference took place from January 5 – 8, 2012 in Savannah, Georgia. Booth visitors learned more about GREENCOAT® packaging solutions and met with Interstate Container Cambridge, MD and Columbia, SC representatives. Furthermore, the eco-friendly corrugated packaging manufacturer demonstrated the various uses of GREENCOAT® fresh produce packaging. 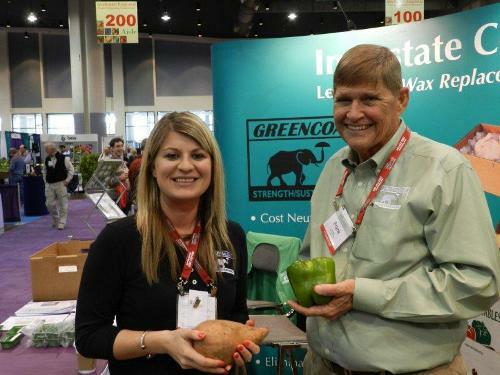 “We are very excited to have exhibited GREENCOAT® at SE Regional Produce Show. The event reaches key large farms in Georgia and the Carolinas for which our new Columbia plant is perfectly positioned to service. Farm owners were surprised and impressed with what GREENCOAT® could do for them, with particular interest in peaches, cabbage, peppers, squash, and cucumbers. SE Regional Fruit & Vegetable Conference 2012 gathered thousands of fresh produce growers, packers, vendors and suppliers. The annual educational conference discussed how to improve crop production and grow business, food safety, marketing strategies, as well as production practices and increased yields. 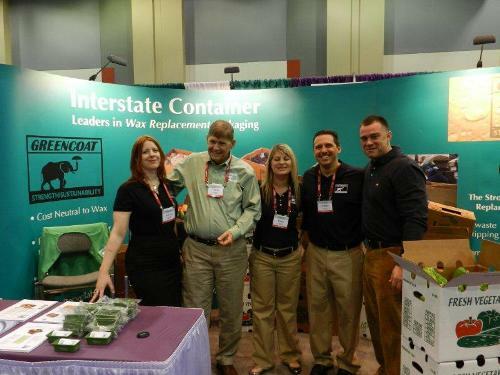 Interstate Container Cambridge team developed GREENCOAT® packaging solution for transporting products that require durable moisture-resistant corrugated packaging. Mountaire Farms, Delaware-based poultry processing company, successfully trialed the environmentally friendly wax-free corrugated box that packs fresh produce, floral, poultry, meat, and seafood products.